ODOR PROOF: Tested and Approved by the North American Fishing Club. 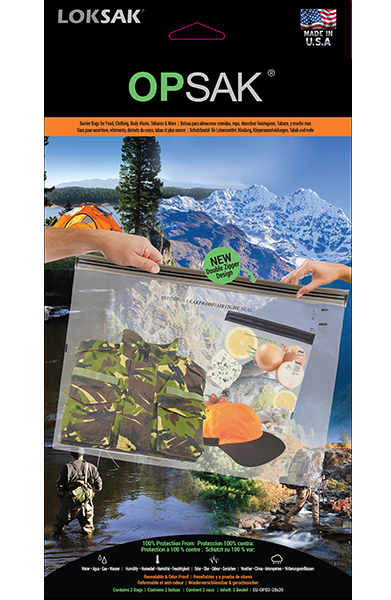 Thanks to the special material these durable plastic bags are completely water- and odor-proof. The bags are resealable and thanks to the patented 3-lip double seal completely tight. They are ideal for the storage of foods and biohazard materials as well as other odorous substances and materials. 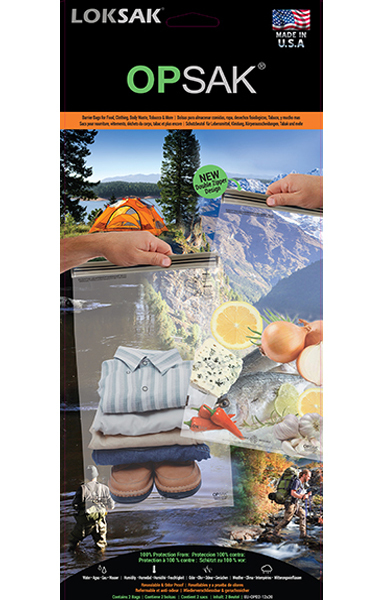 OPSAK is food safe, odor-proof, washable and reusable. In OPSAK everything stays the way it should stay. Foods are safe kept from bears / foxes / dogs / mice / insects and other animals. Ideal for camping. 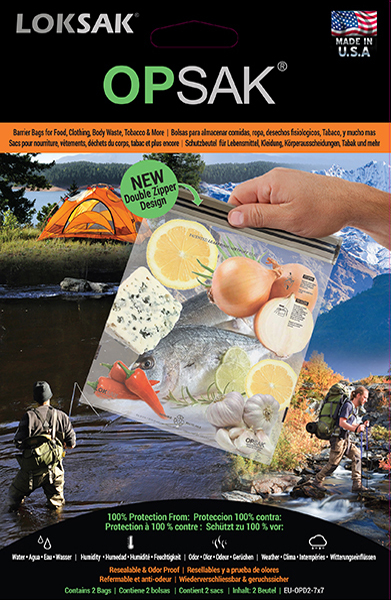 Dehydrated food can be prepared easily with hot water directly in OPSAK. 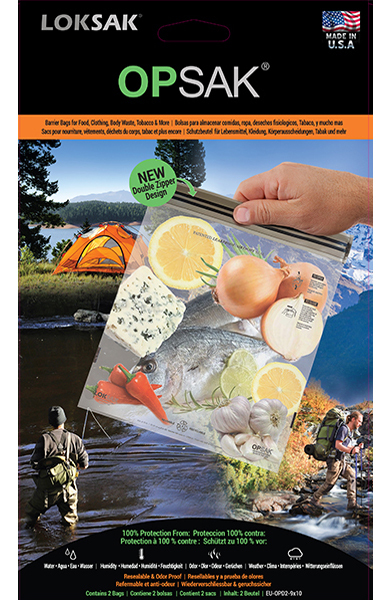 Protects food in the freezer effective from freezer burn. Is often used for body waste when big wall climbing. Ideal to transport liquids when flying. Perfect for the storage and transportation of medicine. Through the anaerobic characteristics OPSAK is also used for the cultivation of mushrooms. Is often used for long-term storage of various materials / documents. Storage and transport of cigars. Used by laboratories for the transport of biological materials such as dead animals. Proven for the transport of living organs.